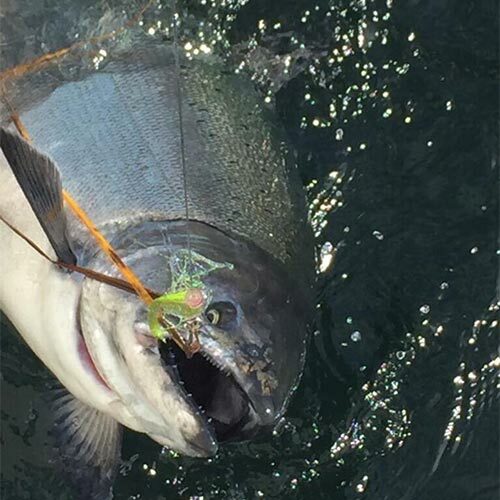 Catch and Release for King Salmon. Fish in the month of May and roundtrip ground transportation is free. A savings of $80. Private charter, we will not add anyone to your charter. Note: 2.5% Gateway Borough Sales Tax Added To All Rates. Enjoy a half or full day of Ketchikan salmon fishing. During your private fishing excursion, you’ll fish for king salmon, coho salmon, pink salmon and/or chum salmon. Private charter. We will not add anyone to your charter. 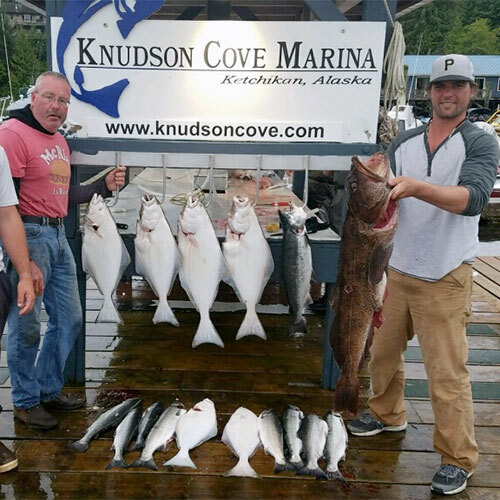 Do you want to go halibut fishing in Ketchikan, Alaska? Our halibut charters make it easy for even the first time sport-fisher to enjoy real Alaska halibut fishing. 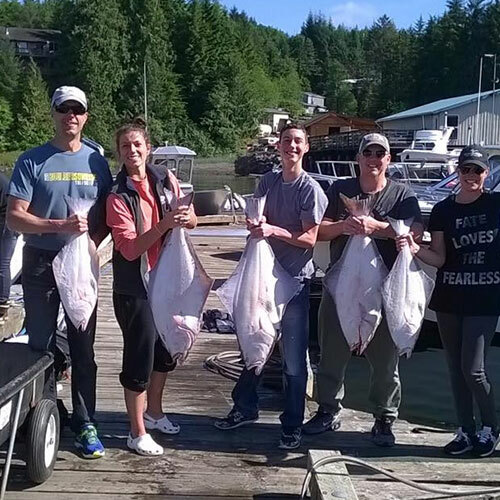 Enjoy a private day of salmon AND halibut fishing with your family and friends. Our experienced guides have high catch rates and will teach you all (well, maybe not ALL), of their secrets. You are on vacation, so there is no need to call and wait for a taxi. We have eliminated this hassle for our Guests. 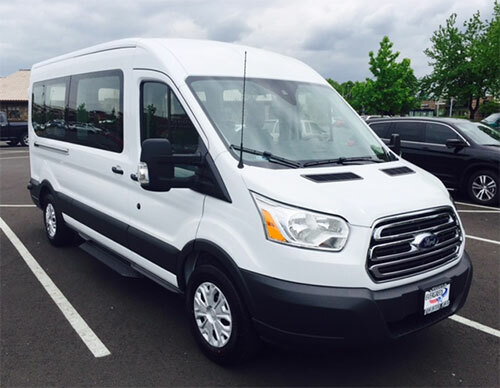 We will prearrange a time to pick you up in front of your ship, or walking distance to the docks in our comfortable Ford Transit 15 Passenger Van. Up to 6 guests, costs is $80 round trip (not per person price). Guests of 7+ add $13 each additional. Book your tour and transport now. Just give us a call. Or, if you book online you will be given the option to add transportation to your tour once you select your charter. Pay 50% deposit at time of booking. Pay remaining balance in cash on the day of the trip. Pay 50% deposit at time of booking. Pay remaining balance with credit card at least 24-hours prior to trip. 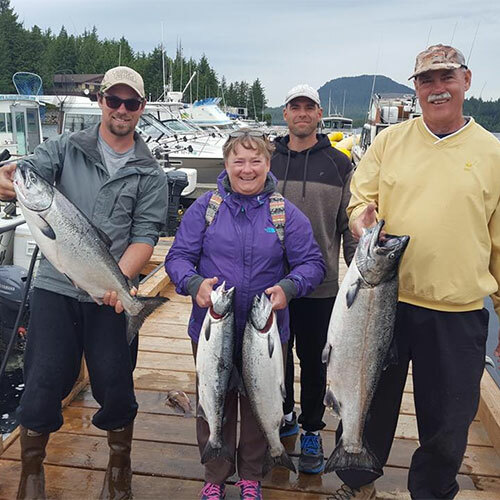 We look forward to taking you on a salmon or halibut fishing trip of a lifetime! (USA & Canada Only) All processing and shipping of your fish is through our 3rd party vendor: Cedars Lodge. Price varies depending on finished weight shipped. Price range from $9.00 to $12.00 per lb. (includes all processing and shipping via FedEx-Overnight to your home.) A dock representative will meet you at the end of your trip to answer additional questions.